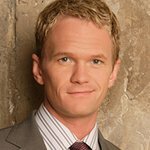 Neil Patrick Harris and his partner, David Burtka, have joined the L.A. Loves Alex’s Lemonade Culinary Cookout as the 2011 Honorary Celebrity Hosts. The event will raise funds and awareness for Alex's Lemonade Stand Foundation (ALSF) in its quest to find better treatments and cures for all kids with cancer. The cookout is scheduled on Sunday, November 6, 2011 from 12 – 4PM at Culver Studios. The Presenting Sponsor for the cookout will be Volvo Cars of North America. The 2nd Annual L.A. Loves Alex’s Lemonade invites food and wine lovers from all corners of the globe for an afternoon of fantastic fare, cocktails for a cause, a lemonade stand sponsored by Daily Grill, children’s activities, silent and live auctions, and much more. In addition to General Admission tickets of $175, L.A. Loves Alex’s Lemonade will offer two other ticket tiers: a $400 level for VIP early entry and special seating; and a $1,200 Premier Ticket level. The Premier Ticket will include early admission, special seating and an exclusive Meet-And-Greet dinner the night before the event prepared by Nancy Silverton and Chris Bianco from Phoenix’s celebrated Pizzeria Bianco. All other participating chefs will also be in attendance at the Meet-And-Greet dinner. Children are welcome to accompany their parents to the Sunday festivities and those under 10 receive complimentary admission. Tickets for all levels are available for purchase online at www.lucques.com, www.thehungrycat.com or www.AlexsLemonade.org/campaign/la-loves-alexs-lemonade. All proceeds will benefit ALSF. The L.A. Loves Alex’s Lemonade 2011 event is shaping up to surpass first year aspirations, with returning chefs Michael Tusk, Chris Bianco, Susan Spicer, Marc Vetri, Jonathan Waxman, and new participating chefs John Besh, Michelle Bernstein, Michael Cimarusti, April Bloomfield, Jon Shook & Vinny Dotolo and Gabrielle Hamilton, coming together to cook for childhood cancer cures. Guests will also experience the cocktail artistry of major mixologists, including Eric Alperin (The Varnish), Neal Boderheimer (Cure), Matthew Jeronimo (The Hungry Cat), Greg Lindgren (Rye on the Road) and Steve Wildy (Vetri Family) who will craft signature drinks for attendees. For information on how to become a sponsor, contact David Brownstein at Alex’s Lemonade Stand Foundation, (610) 649-3034 or David@AlexsLemonade.org.